Ministry of Defence has officially begun the tender for the delivery of 210 Infantry Fighting Vehicles (IFV) - upcoming defence acquisition public tender plans for the Czech Armed Forces announced - a job database to help veterans of the armed forces find work in the private sector by the Ministry of Defence and the Union of Industry and Transport – state security eventually undermined by Chinese Huawei and ZTE mobile phones - The first pre-serial L-39NG trainer and light attack aircraft made its first flight on 22nd December - a tender to provide 4x4 drive passenger cars to the Czech Police cancelled. On the 15th December the Ministry of Defence has officially begun the tender for the delivery of 210 Infantry Fighting Vehicles (IFV) a projected cost of CZK 53 billion (USD 2.6 billion). Minister of Defence Lubomír Metnar briefed the cabinet about the candidates on 17th December. Four manufacturers are expected to take part in the process: PSM (IFV PUMA), Rheinmetall (IFV LYNX), GDELS (ASCOD 2) and BAE Systems (CV9030CZ). The ministry would like to sign the contract by August 2019, so the army could start receiving its first vehicles in 2020. During the meeting held on 17th December Minister of Defence Lubomir Metnar apprised the Czech Government of upcoming defence acquisition public tender plans for the Czech Armed Forces. These concern the 210 tracked IFV’s to be delivered between 2020 and 2025, 62 wheeled APC’s (TITUS vehicles, same delays), Ceska zbrojovka will deliver up to 14,000 assault rifles and 20,000 pistols (contract to be signed in March 2019), the Mobile Air Defence Radars (MADR) where the contract should be signed by mid-2019, and the RBS-70NG air defence missile systems by Saab Dynamics (contract has been signed on the 18th December). The Ministry of Defence together with the Union of Industry and Transport (Svaz průmyslu a dopravy) have created a job database to help veterans of the armed forces find work in the private sector after ending their military service. Soldiers will have access to more than 11,000 companies and applications. It is estimated that 800 soldiers leave the army every year. There are job opportunities for the former military in the transport, energy and automotive industry, Jaroslav Hanák, president of the Union, said. On 18th December Prime Minister Andrej Babiš banned the use of mobile phones by Chinese telecoms company Huawei for the employees of the Government Office. The decision is an application measure based on a report released by the National Bureau for Cyber Security and Information (NÚKIB) which said that phones marketed by Huawei and ZTE could undermine state security. Later the NÚKIB reassured ordinary citizens that the warning did not apply to them. After a meeting with the Chinese ambassador the measure was rescinded. 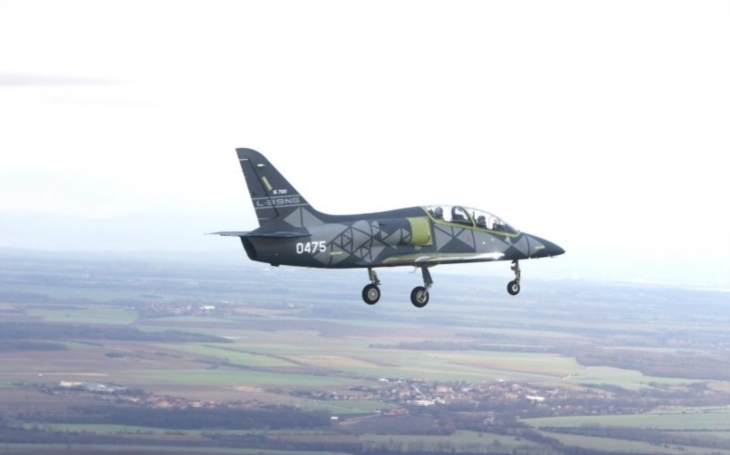 The first pre-serial L-39NG trainer and light attack aircraft made its first flight on 22nd December at Aero Vodochody Airport. The aircraft took off from the runway, climbed up to 5,000 ft. and after 26 minutes successfully landed at Aero Vodochody. The maturity of the platform allowed the execution of some development tests during the flight. On 28th December The Office for the Protection of Competition (ÚOHS) has cancelled a tender worth CZK 250 million (USD 11 million) to provide 4x4 drive passenger cars to the Czech Police. The anti-monopoly office ruled that the tender requirements by the Ministry of the Interior unfairly favoured Škoda Auto against other bidders, after a complaint by the South Korean importer Hyundai.